We say yes to products that are sustainable, healthy and delicious. Without compromise. Goodio was created on the principles of sustainability, well-being, and transparency. 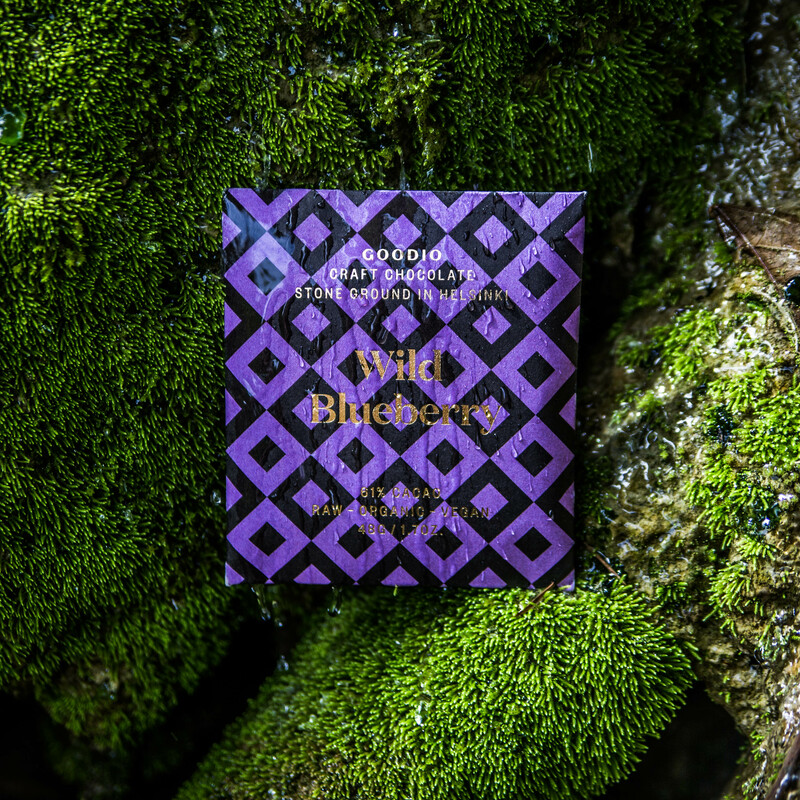 It's a vision to bring Nordic-inspired flavors to a chocolate brand for the global consumer.They prize organic, nutritious ingredients, and fuse them with unique flavors, such as wild blueberry and sea buckthorn to give you a delicious one-of-a-kind treat. All of their bars are made with raw cacao, which is high in antioxidants and classified as a superfood. Goodio offer 2 different bars: Their 48 g envelopes are the perfect indulgent yet healthy treat as well as a well designed and delicious gift item. ChocOat is the world’s first oat based raw “milk”chocolate. The perfect healthy treat for every day of the week. 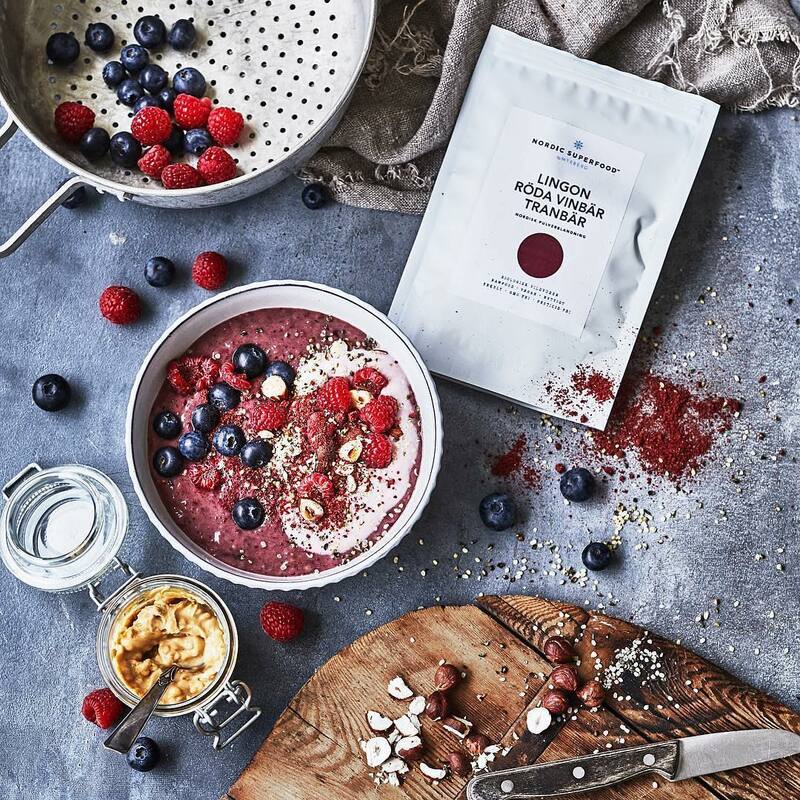 Nordic Superfood is a series of products that consist of biological berry and green blends, collagen and raw juice from the wild Nordic nature, all free from sugar and other unnecessary additives. Rich in antioxidants, vitamins, proteins and minerals. They believe that the plants and berries growing in our nearby nature provide the best impact for our Nordic bodies. These local nutrients are what we have been accustomed to for generations, as well as the most sustainable way of nurturing our bodies with superfoods. There are a number of large corporations that sell beverages that contain huge amounts of sugar, caffeine and additive and call them functional health drinks. The founders behind Bloomy Drinks thought that was a pity and decided to do something about it. The result? 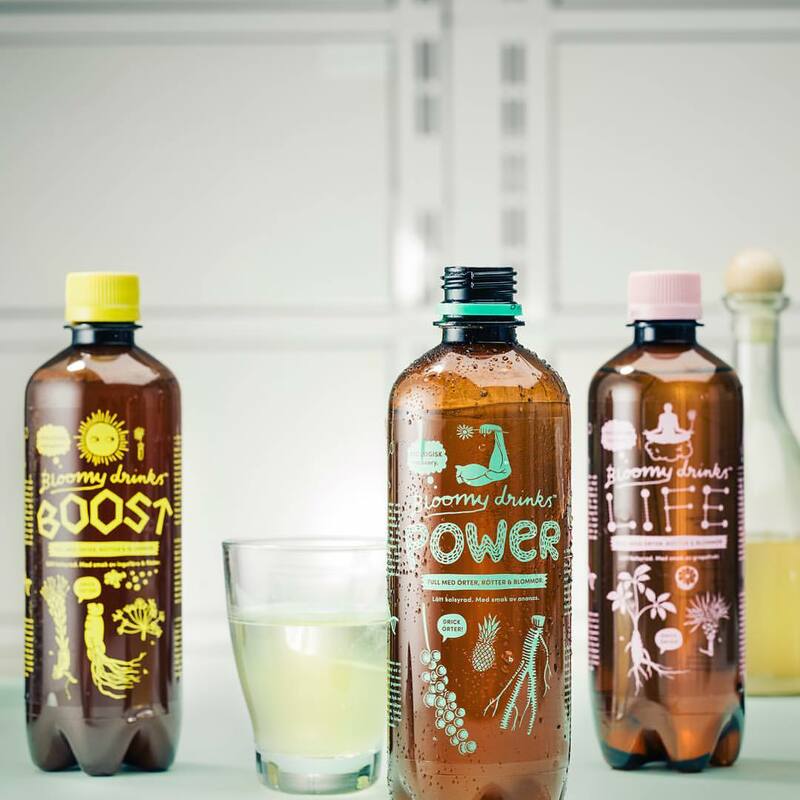 A series of drinks based on sparkling water, fruit and a number of roots and flowers classified as adaptogens, developed together with the Swedish institute of herbal medicine. Mother natures own energy drink. Organic, healthy and delicious! The founders behind Nord-T had noticed that most tea blends offered on the market (even the “good” organic kinds) were filled with industrial flavorings, artificial aromas and additives. They knew we had to do something, so they started making their own blends. Nord-T (meaning Nordic tea), was born from their love to the forests and fields of northern lands where all ingredients come from the most skillful farmer of them all - Mother Nature. 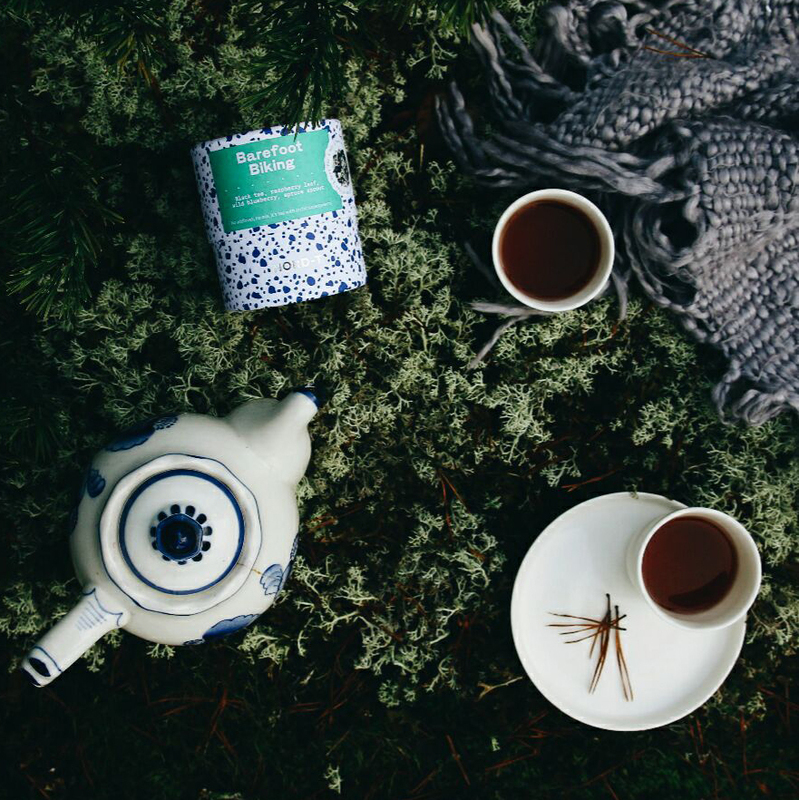 The tea is purchased directly from small organic tea farmers around the world, and the the added ingredients are 100% natural and Nordic, including berries, herbs and flowers such as sea buckthorn, birch, nettle, rhubarb and lingonberry.